When your adrenal glands are working properly, they release hormones that help your body maintain balance during stress. Fatigued to Fantastic! 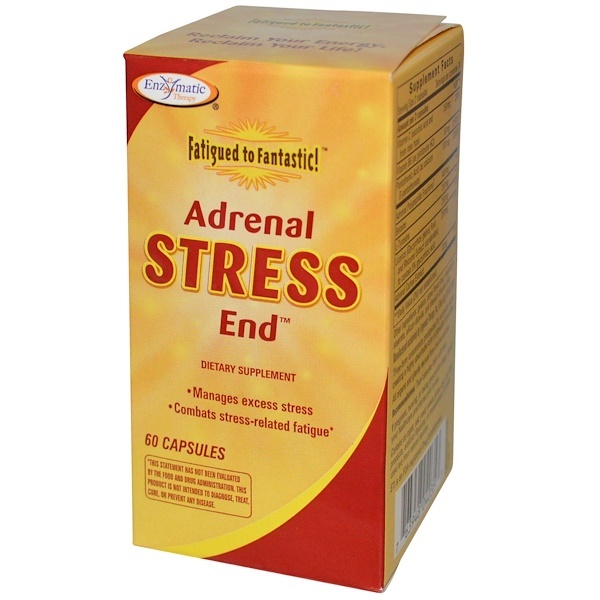 Adrenal Stress-End energizing stress formula provides essential nutrients to avoid adrenal burnout. 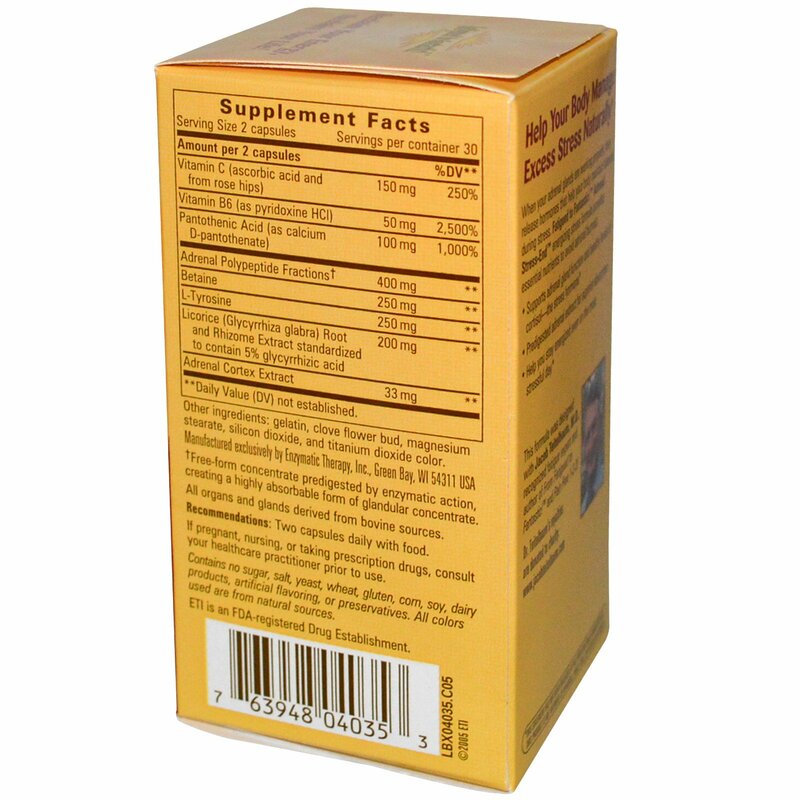 Recommendations: Two capsules daily with food. Gelatin, clove flower bud, magnesium stearate, silicon dioxide, and titanium dioxide color. Contains no sugar, salt, yeast, wheat, gluten, corn, soy, dairy products, artificial flavoring, or preservatives. All colors used are from natural sources. †Free-form concentrate predigested by enzymatic action, creating a highly absorbable form of glandular concentrate.